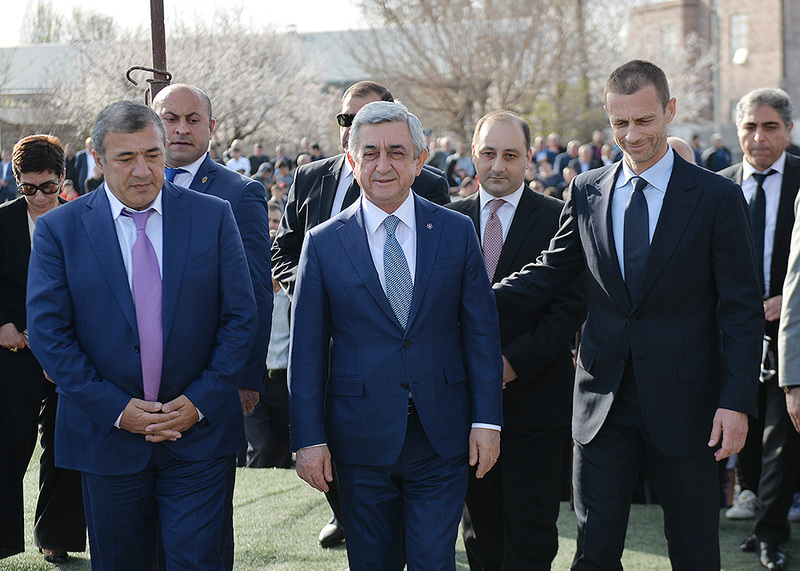 President Serzh Sargsyan conducted a working visit to Armavir marz. 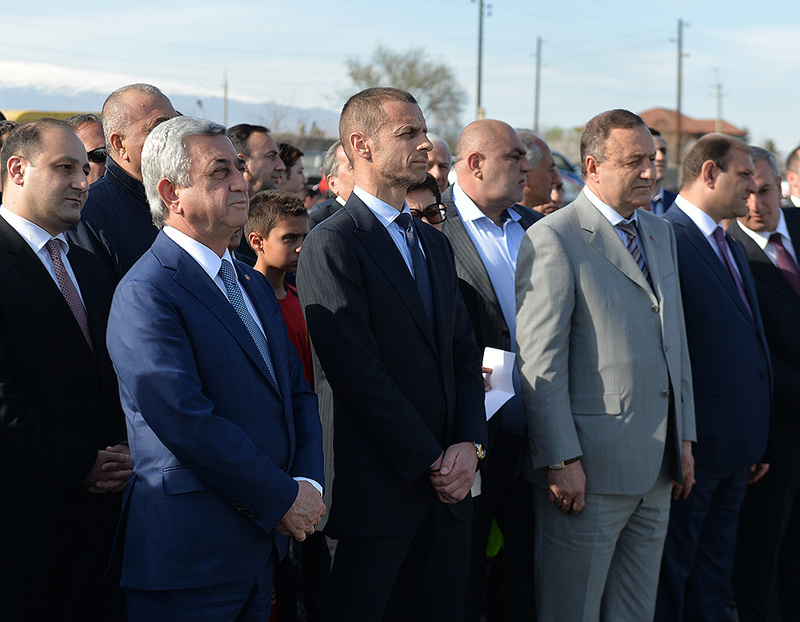 In Etchmiadzin, President Sargsyan together with the President of UEFA Aleksander Čeferin, member of the Executive Committee of Armenia’s Football Federation (AFF), Mayor of Yerevan Taron Margarian, President of the AFF Ruben Hairapetian, regional and town authorities, students of Etchmiadzin n. 1 sport school and residents of the town participated at the groundbreaking ceremony for the football academy of Vagharshapat. 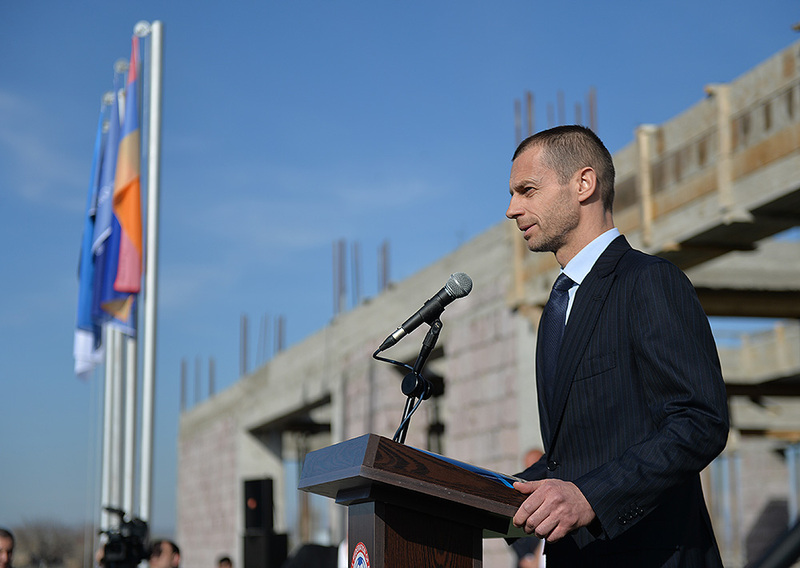 The construction of the academy is a joint project to be carried out jointly by the AFF, UEFA, and FIFA. The project, which costs approximately 900 million AMD, commenced in October 2016 and is to be concluded in October 2017. 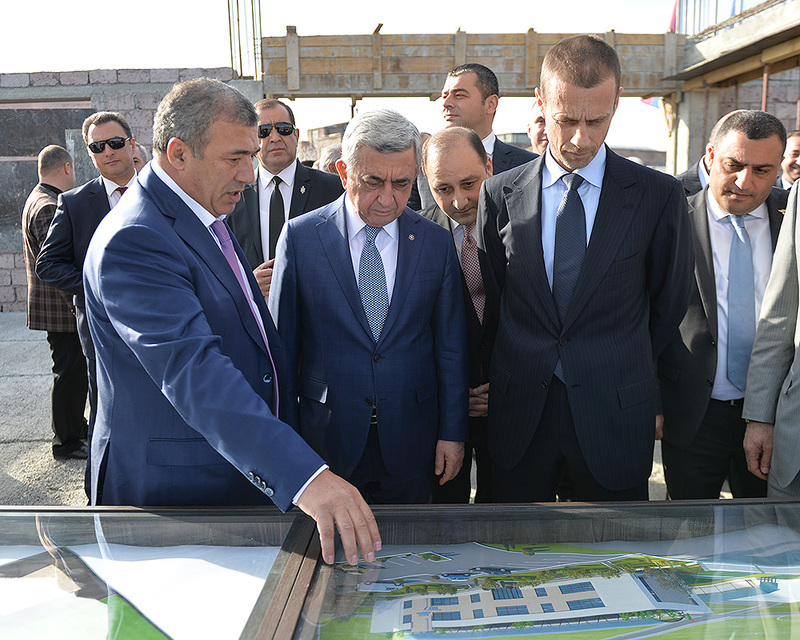 At the construction site of the academy, the President of Armenia familiarized with the blueprints of the academies to be constructed in Vagharshapat as well as in Armavir town, conversed with the responsible officials and construction workers. 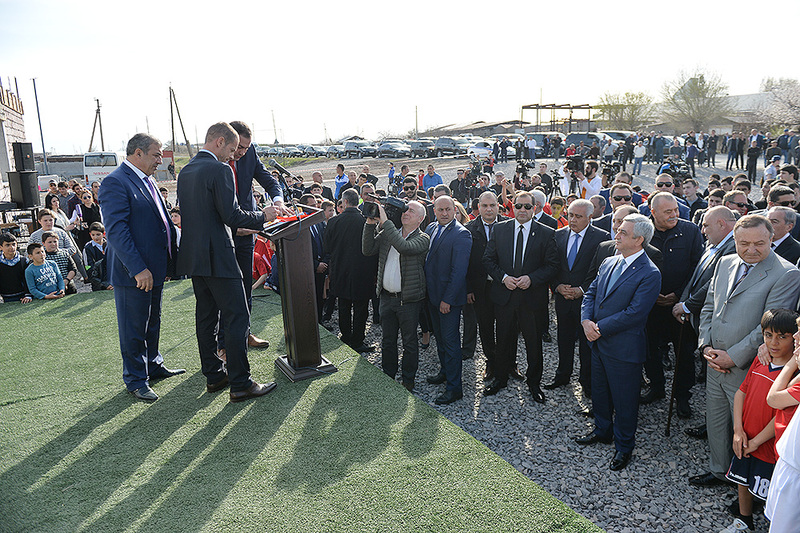 According to them, the two-story building of the academy with the total area of 11002 meters will include infrastructure required for today’s football. 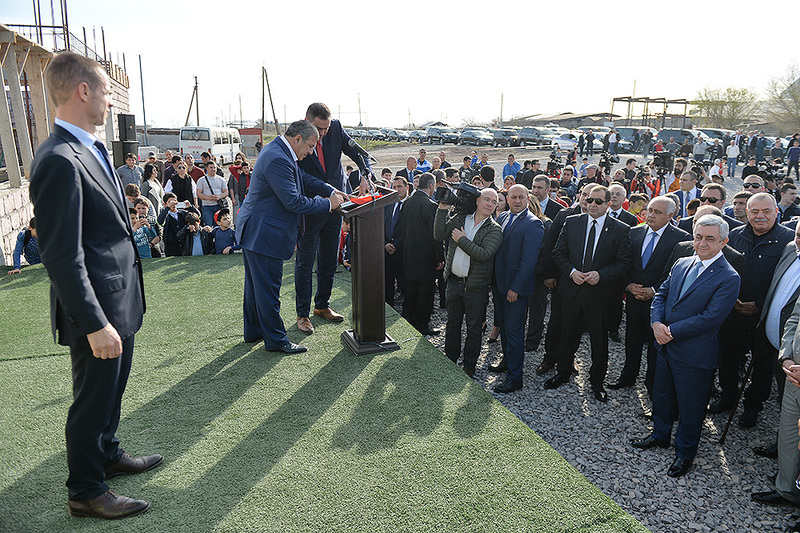 The outdoor swimming pool, 1 field with the artificial cover and 3 fields with natural grass will be constructed with modern technologies, in accordance with the standards specified by FIFA and UEFA for professional football playing. There also will be a tribune for approximately 500 spectators intended to host official games of football championships. The newly constructed academy will create 25-30 jobs, with the average salary of 130-150 thousand AMD. 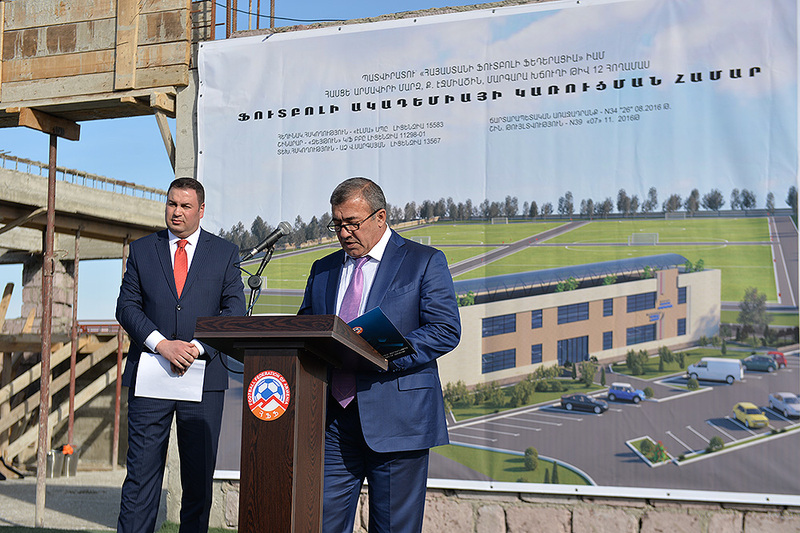 President Sargsyan was also informed that the construction project for the football academy of Armarvir, which costs nearly 1.4 billion AMD and commenced last February, is to be concluded in October 2019. This project too is a joint investment program implemented by the AFF, UEFA, and FIFA. 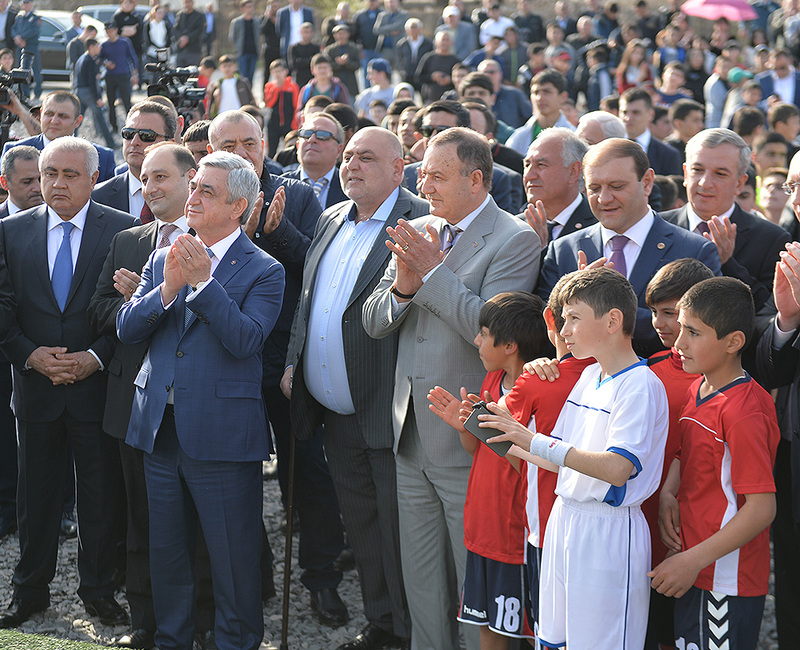 According to the responsible officials, academies in Vagharshapat and Armavir can train nearly 600 boys and girls. 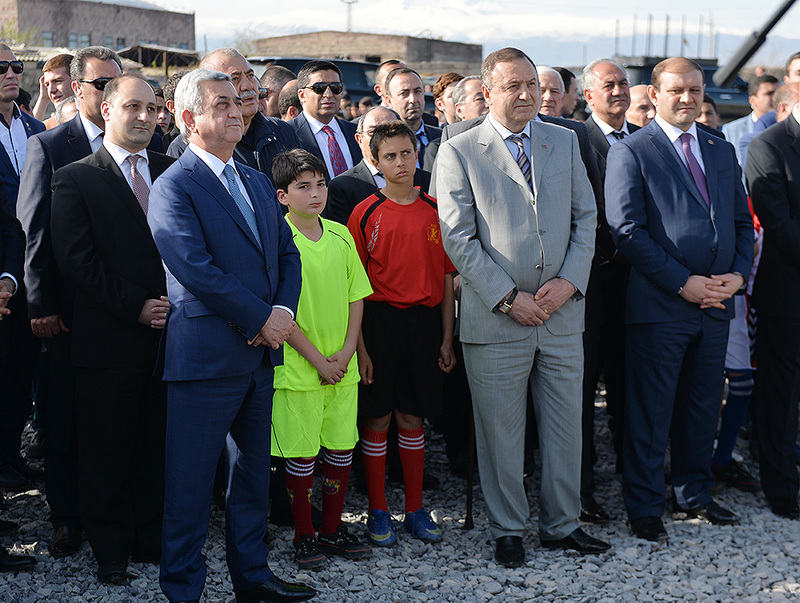 These two academies are constructed in addition to the AFF technical center, Gyumri football academy, and Vanadzor football academy which were constructed in 2010-2014 in the framework of the Strategic Program for the development of the Armenian football. 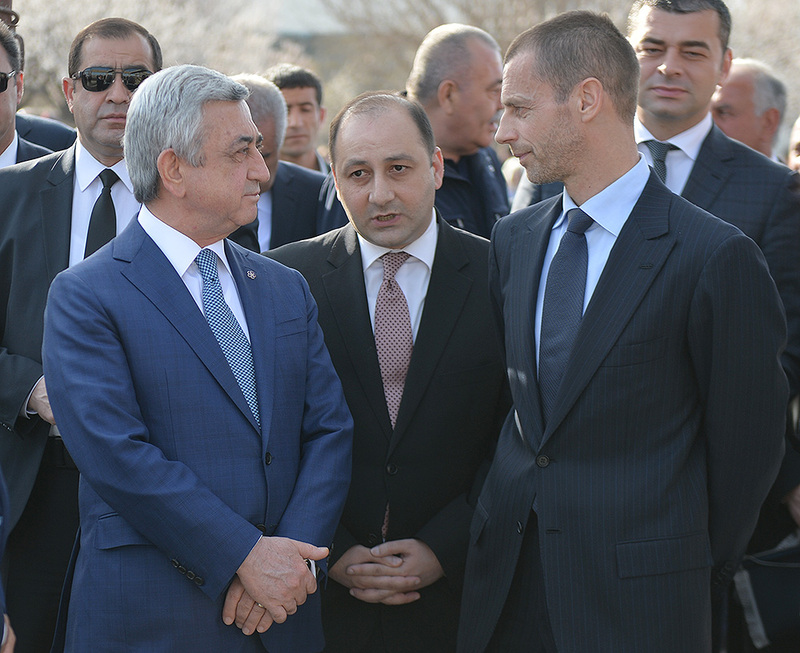 After the groundbreaking ceremony for the Vagharshapat football academy, President Sargsyan held a meeting with the President of UEFA Aleksander Čeferin.